3 Players start off as defenders holding a pinnie each in there hand. 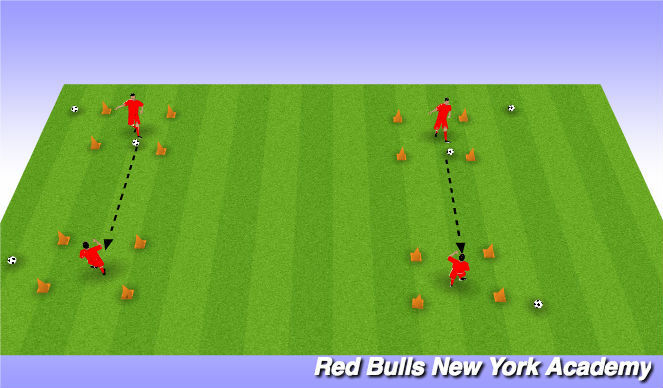 Defender either pressures immediately and player must use tap around or stay still and you encourage players to drive at them and use a move to beat them. Three groups of four players, each set up in their own zone. 2. Players in the middle can intercept any ball on the ground with their feet. If the ball is intercepted, the player that passed the ball switches with the player that intercepted the ball. 3. 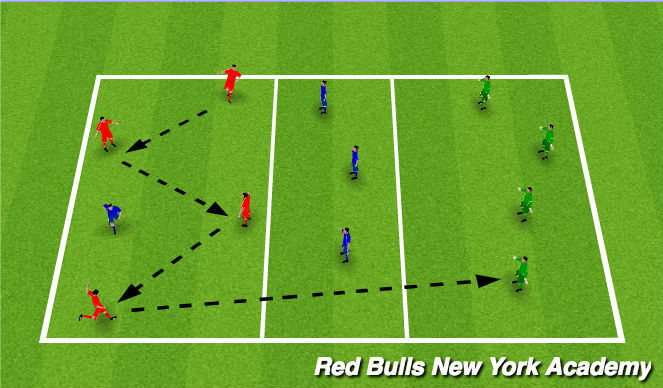 Players can move throughout their section of the grid to try and find a clear passing lane through to their partner. 8. Timing of long pass - Don't force it. 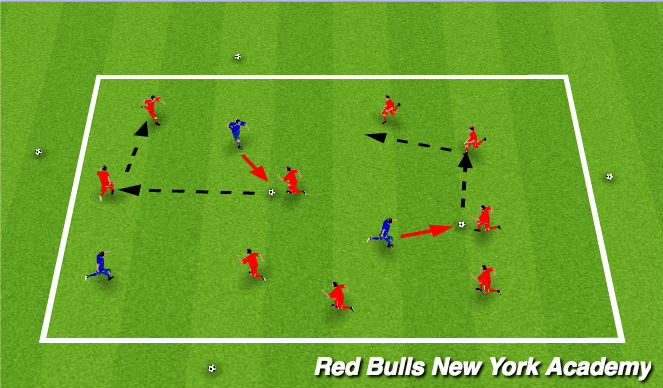 Three teams of four players, each set up in their own zone. 1. White team at one end must make 3 consecutive passes before looking to switch the ball to the light blue team in the opposite end zone. 2. If the ball is intercepted by the blue team in the middle, the team that lost the ball switches into the middle. 2. Quality of long pass to switch the ball. 3. Timing of long pass - Don't force it.